Great intermediate Zen/Chan book that suffers from some unfortunate organization issues. It has 4 sections: two by ancient Chan masters (Boshan and Jiexian) and two by contemporary teachers (Xuyun and Sheng Yen). It makes sense that they wanted to put the ancient teachers first, but this results in the section by Jiexian, which is basically a guide to being a Chan teacher and running your own temple, coming before the section on beginner's Chan practice. The Xuyun section is excellent though. Sheng Yen's section is his recorded sayings from a retreat, which causes it to be repetitive occasionally though this can also be a good thing as it continually reinforces some of the important points. This is a good primer on Chan, if you're interested in seeing some of the differences between Zen and Chan (which isn't talked about nearly as much in North America), and you can tell that Sheng Yen was a great teacher who really knew what he was talking about. This book has a lot of useful information. 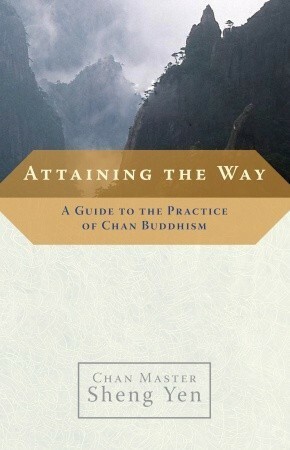 It, like so many other books on Buddhism, pushes the idea of not being able to reach enlightenment without a teacher. That aside, much of the information can be practiced by the lone practitioner. "Give your body to the cushion and your mind to the method."